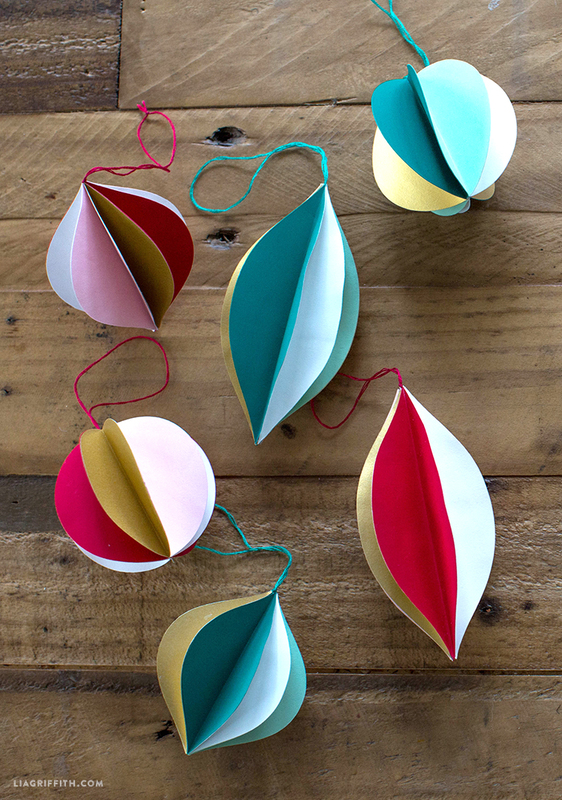 Add a touch of sweetness to your holiday tree with these colorful and cute 3D papercut ornaments. 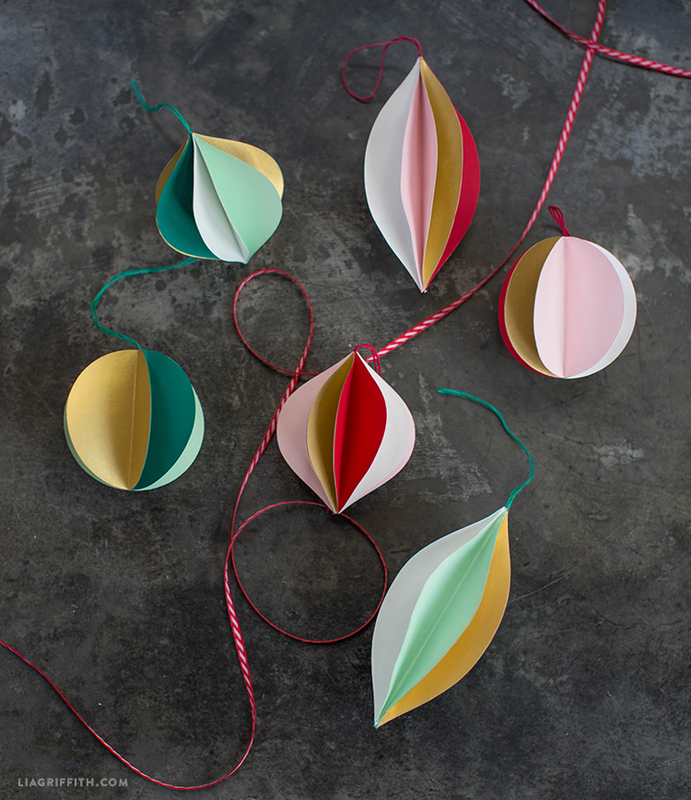 With simple lines and solid colors, these ornaments evoke a retro candy feel. Their whimsy comes in the way that they twirl around, creating a striped visual effect as they turn. 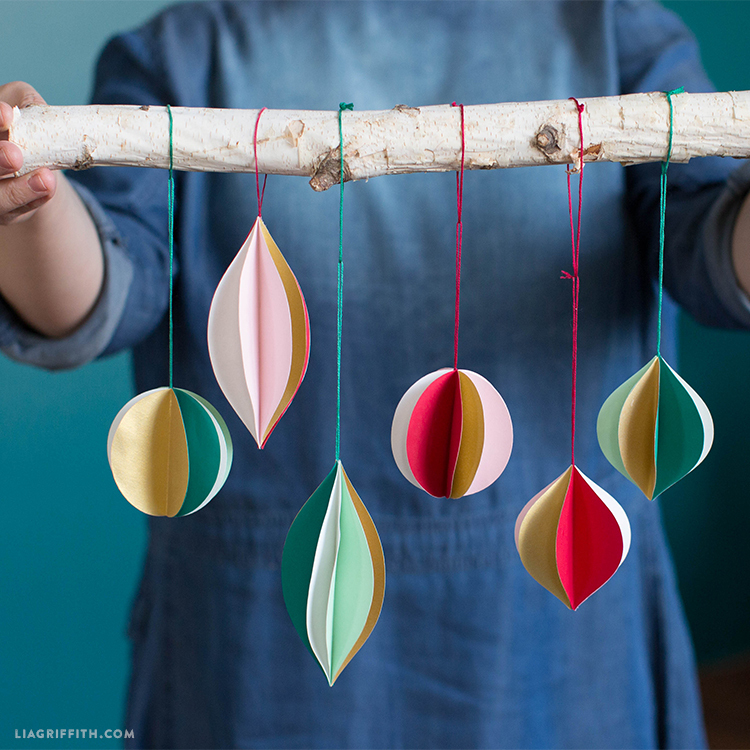 If these ornaments aren’t quite your style, we have plenty of other DIY ornaments on our site for you to craft. From macramé to felt to copper, we’ve created many different looks using all kinds of materials. 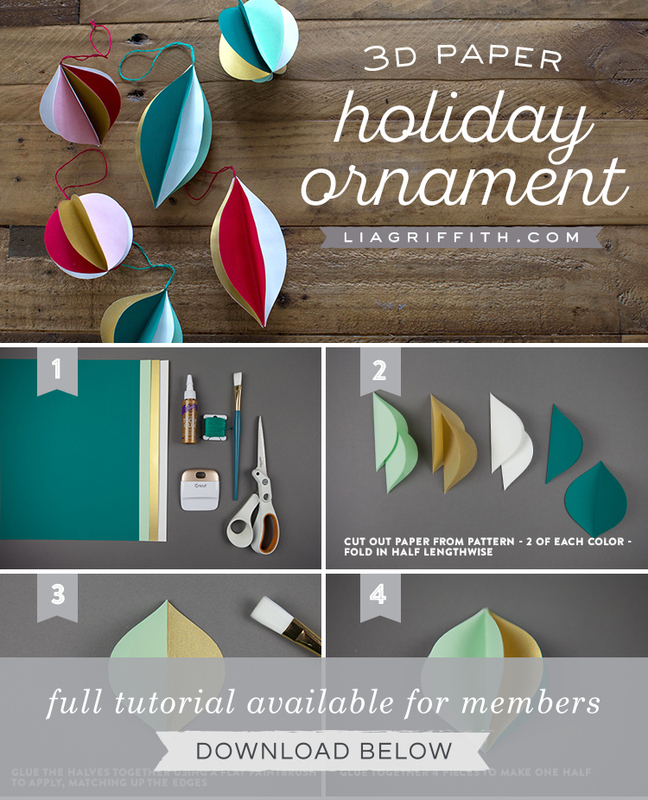 For these 3D papercut ornaments, we used the same paper palette as our DIY advent calendar and “Happy Christmas” banner. 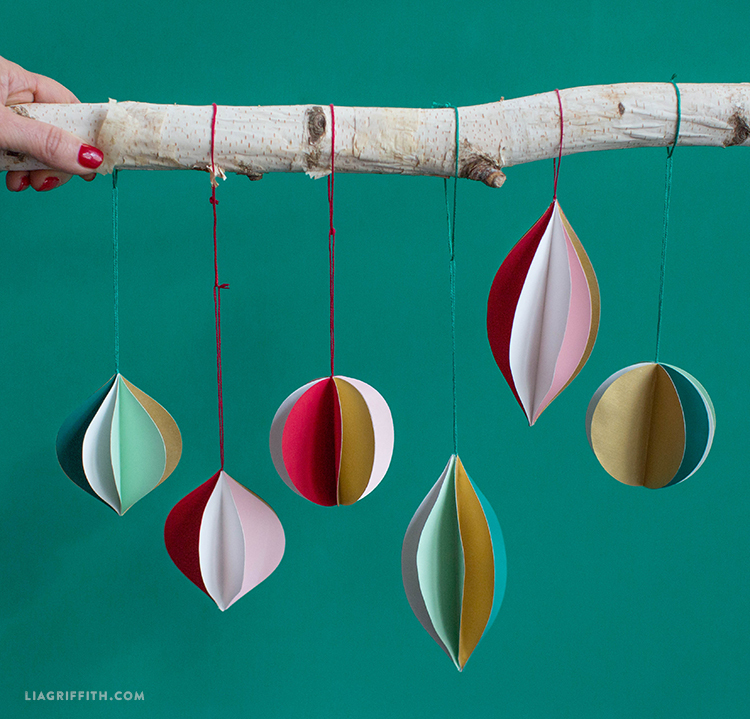 Why not make all of these projects for a color-coordinating Christmas? If you do end up crafting these DIY ideas, make sure to share them with us on Instagram by using the hashtag #MadeWithLia. Gather the tools and materials listed above. Then download the pattern below. Cut out your paper according to the pattern (a cutting machine is recommended). Cut two in each color. Fold each piece in half lengthwise. Glue two halves together using a flat paintbrush to apply the tacky glue. Match up the edges as close as possible. Glue together four pieces to make half of the ornament.